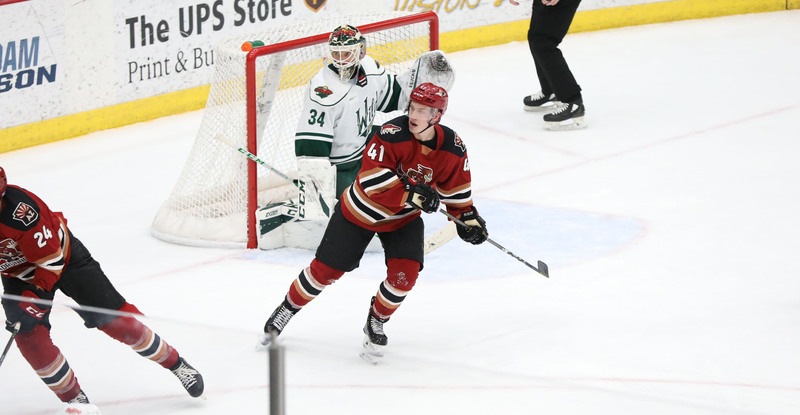 The Roadrunners suffered their fourth shutout loss of the season Wednesday night at Tucson Arena, falling to the Iowa Wild by a 2-0 score. Despite Tucson putting up 24 shots, Iowa’s Kaapo Kahkonen, the American Hockey League’s active shutouts leader, was perfect – earning his sixth shutout of the season. With 10 regular season games remaining, the Roadrunners sit seven points outside of the Pacific Division’s playoff picture. Both of Iowa’s goals came in the second period; Mitch McLain giving the Wild a 1-0 lead 4:28 into the middle frame, Will Bitten adding to that with just over 10 minutes later to make the score 2-0. 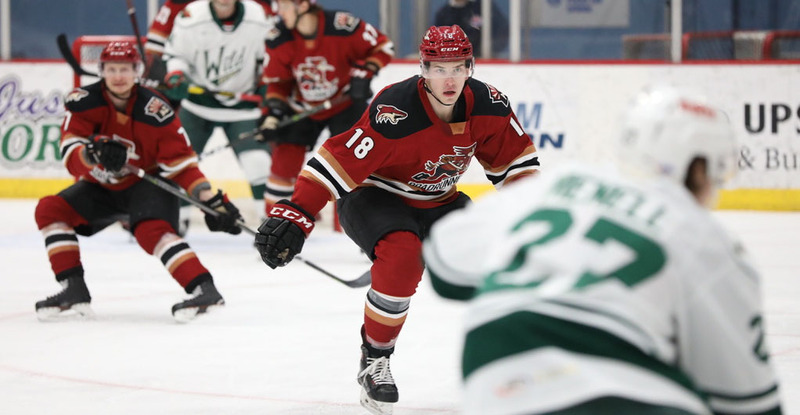 The Roadrunners had a goal waved off with nine minutes left to play in the third period, the play deemed to involve a hand motion in the process of the puck finding the back of the net. Adin Hill stopped 24 of the 26 shots he faced in the loss. The team will continue its six-game home stand on Saturday night when they host the San Jose Barracuda at Tucson Arena, where the puck is scheduled to drop just after 7:05 PM.